The dojo had already opened doors to students for classes in mid-April, but Saturday, April 29th was the grand opening event as well as the Break-a-thon Fundraising event (Breaking Boards Breaking Chains). Breaking Boards Breaking Chains (BBBC) is a display of martial arts board-breaking to raise awareness and financial support for the International Justice Mission (IJM) and Martial Arts for Justice to help free modern day slaves in third-world countries. All 3 of Master Tony Kook's schools (North Vancouver, West Vancouver and East Vancouver) worked together to help support this cause and stop an end to child slavery. For the East Vancouver Taekwondo Grand Opening event, it was a great turn out. Many people came to watch and all filled the room. We are all happy for those who have supported this fundraising event and proud of the brave students who took their courage & effort in breaking those boards. Our son was able to participate in this Taekwondo board-breaking fundraiser since he had a few sponsors (including myself) with their generous donations. I was proud of him for his confidence and stepping onto the mat when it was his turn. I was glad to have captured some amazing board-breaking action from the students and Taekwondo Masters. Here are just some of the many photographs. L’Éclair de Génie, a Parisian pastry shop that only sells éclairs, has opened its 25th store on Robson Street in Vancouver, BC and will open doors to public on Saturday, April 29th, 2017. 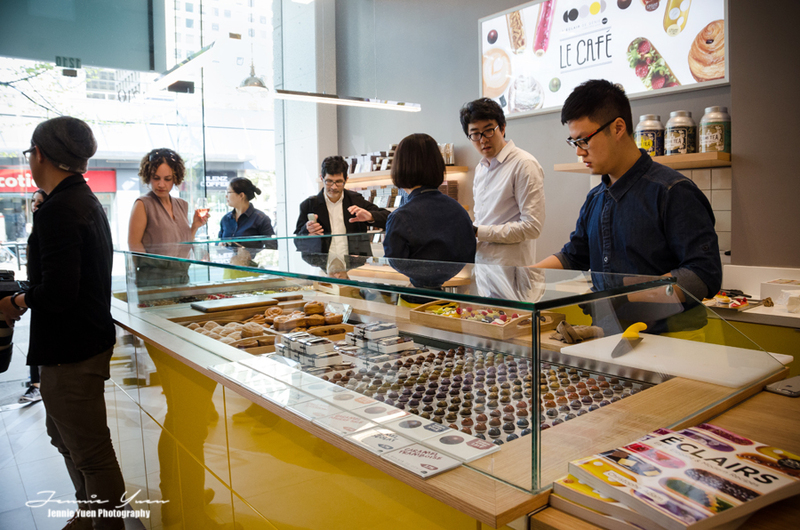 Christophe Adam has stores in Japan, Hong Kong, and Moscow, and the one in Vancouver will be the first L’Éclair de Genie in North America. The éclair is the most popular patisserie treat in France because it’s comforting, easy to eat, and able to be made at home, albeit with varying degrees of success. 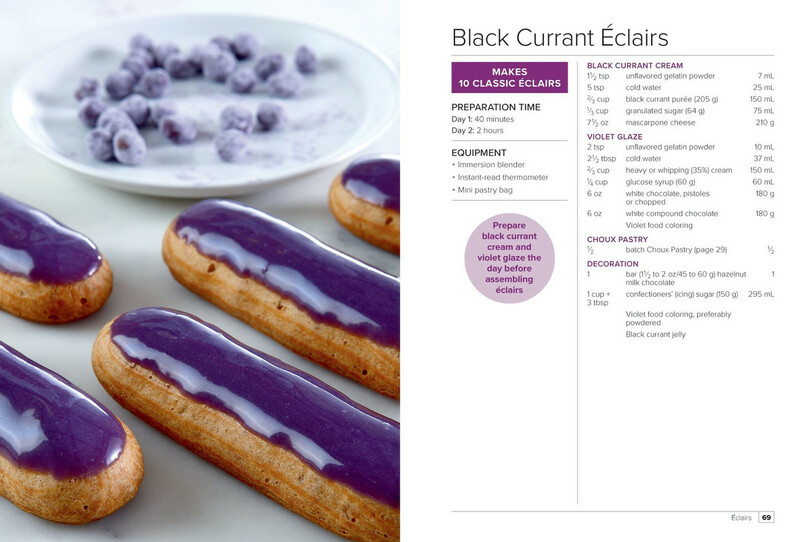 "We have 257 kinds of éclairs, and I still have fun playing with new flavours, textures and colours," says Christophe. 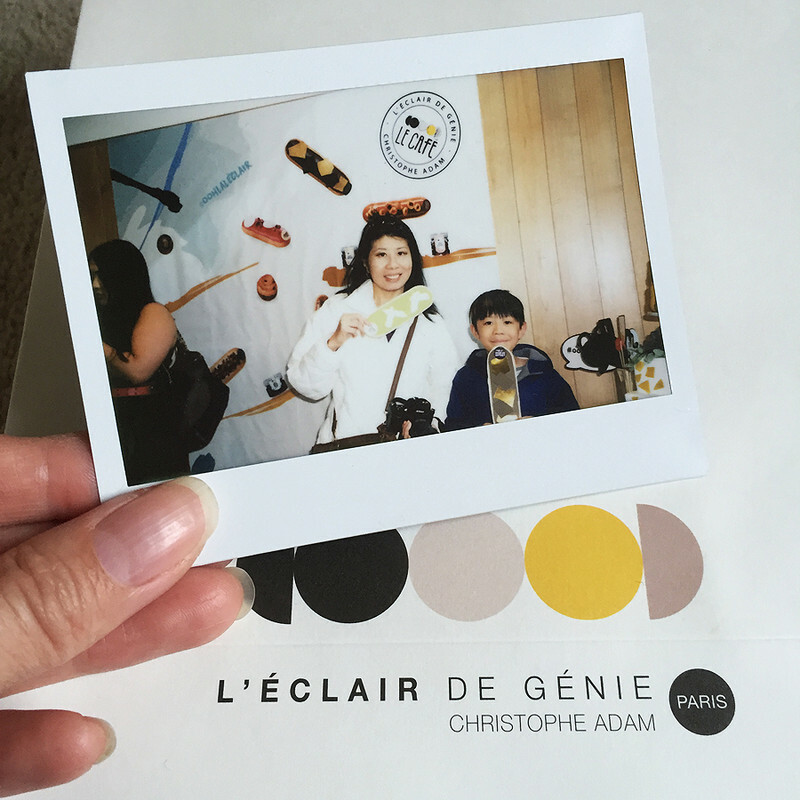 "The éclair must have oomph, with a dazzling, modern look. 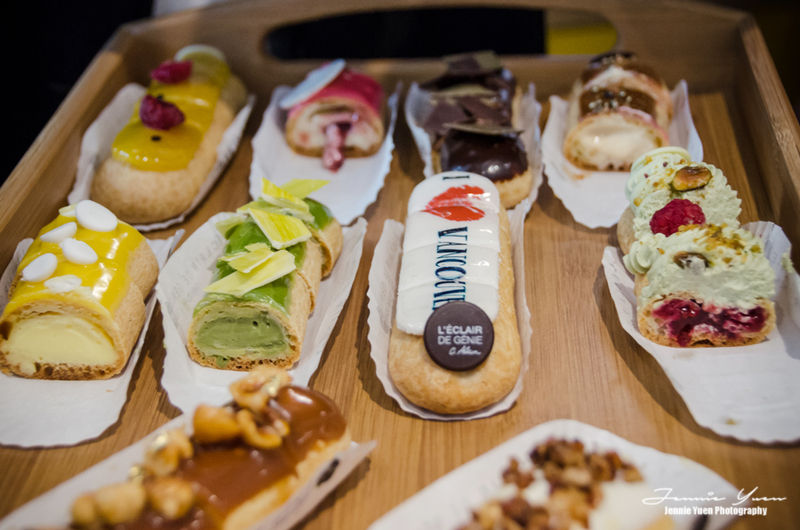 We will start with 10 kinds of éclairs and introduce two new ones each month, like every other store. And we serve coffee." 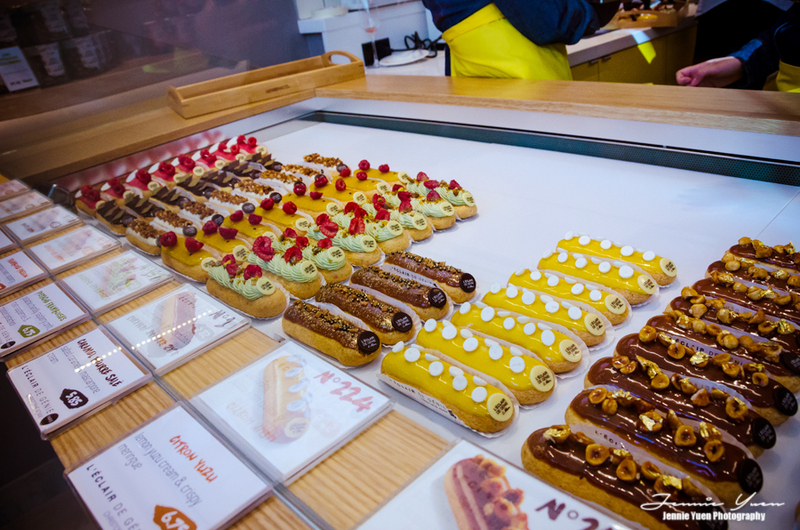 I was invited to attend the media preview today (Friday, April 28th) with a sneak peek of the shop/restaurant's interior, tasting the different flavours of the eclairs and see how they are made. I brought my son and we were both excited. Attendees celebrated with champagne, carbonated water, Instax photo ops as well as receiving a free gift for the attendees. We finally met Chef Christophe in person. He was very busy with getting stuff organized, but I was able to get him to sign his recipe book that I brought with me to the event. 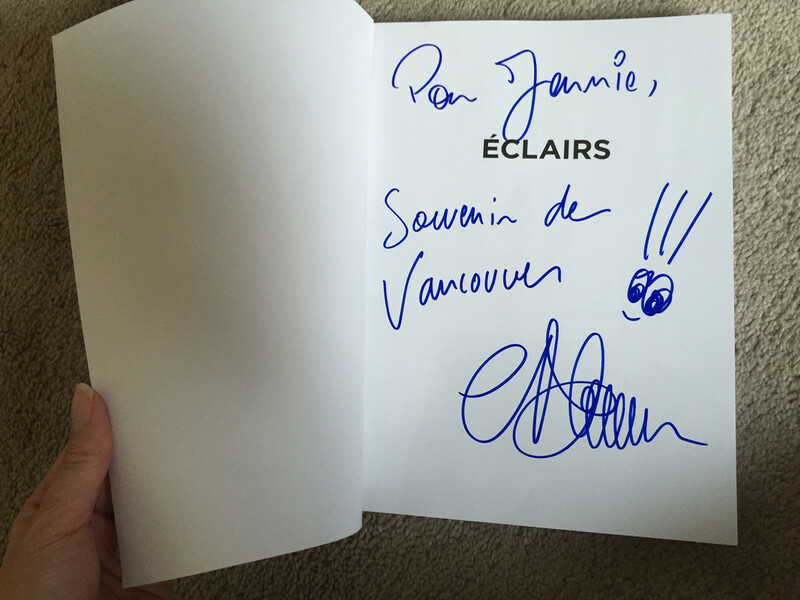 Chef Christophe Adam is also the author of his newly released cookbook, Eclairs: Easy, Elegant & Modern Recipes. See my review in the previous post HERE. 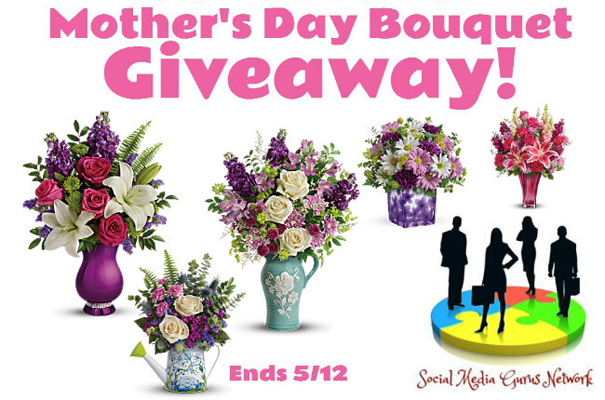 1 winner receives a &75 Gift Code To Use at Teleflora! Contest is open to US only, 18+ (ends May 12th, 2017 at 11:59pm EST). All entries unless otherwise noted are optional. Please enter the giveaway form below. The winner will be emailed and have 48 hours to respond or a new winner will be chosen. Good luck! The once humble pastry has now become haute éclair. 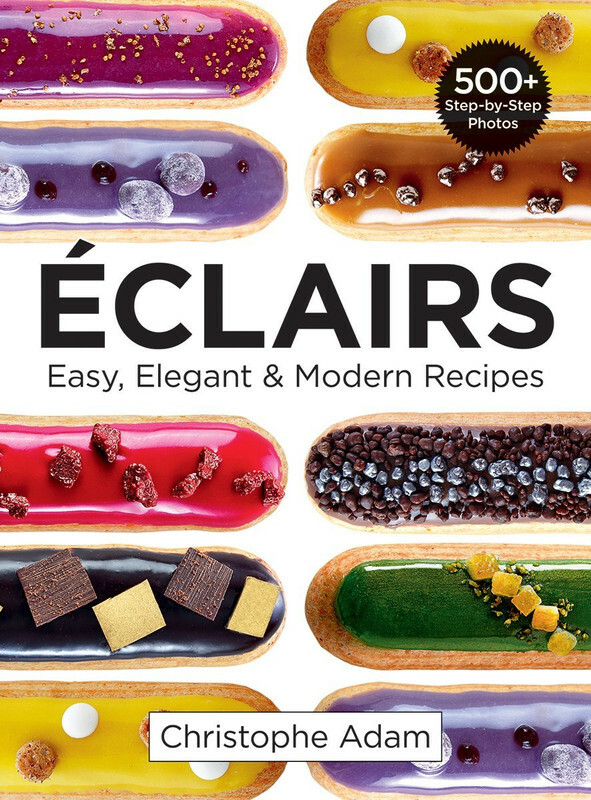 Making éclairs at home has never been easier with this step-by-step book (Éclairs: Easy, Elegant & Modern Recipes) from one of Europe's top pastry chefs. 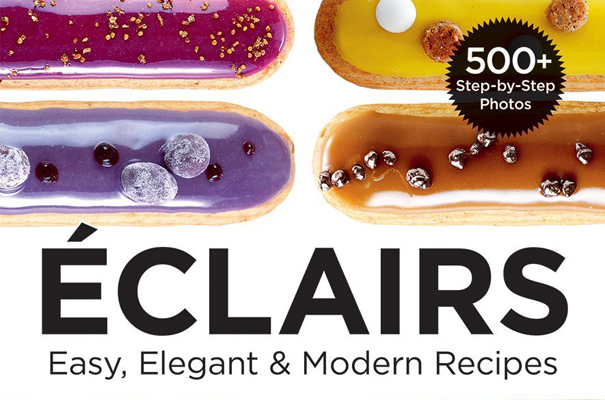 You may think this is just another book on eclairs, but this is more of a private lesson in your own kitchen and with a world-renowned chef by your side. Éclairs must be fresh when assembled. The shell, made from choux paste, is easy to make and freezes well. The inside is typically filled with vanilla custard and the top is brushed with chocolate glaze, but the possibilities are endless. By following a few rules, you’ll be a genius. 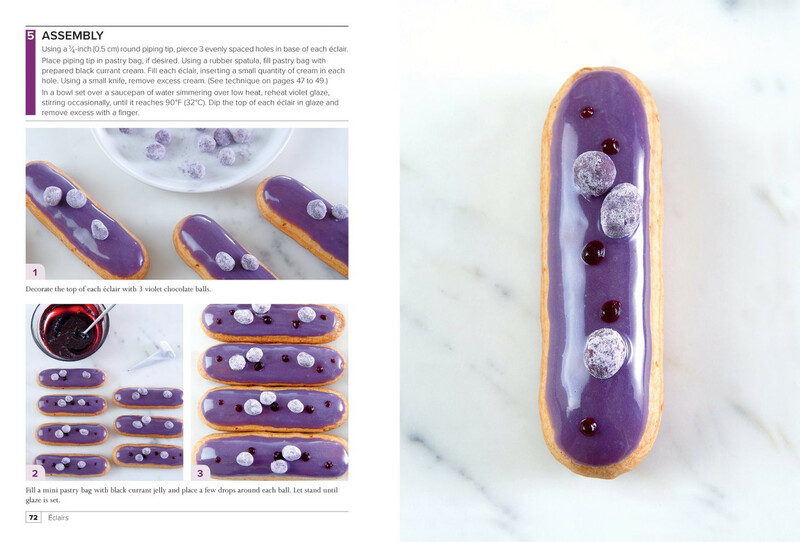 "I want to teach technique that isn’t intimidating, so students can make a good éclair at home. You can come up with your own funky colours and flavour combinations but first learn how to make choux paste and the correct way to pipe the filling, and of course (make) the custard — life is about eating custard." 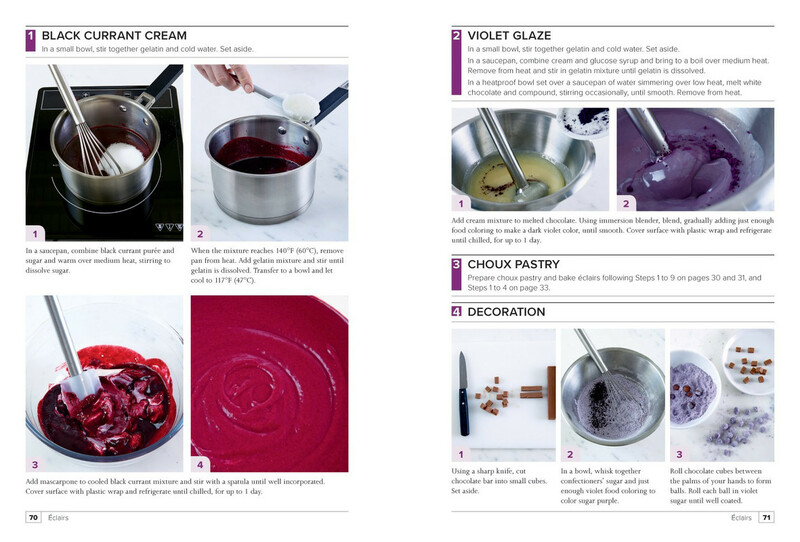 Christophe outlines exactly how to get started, providing a list of equipment, basic rules and helpful tips to assist both the beginner and the experienced baker. MY THOUGHTS: I love éclairs since I was really young. 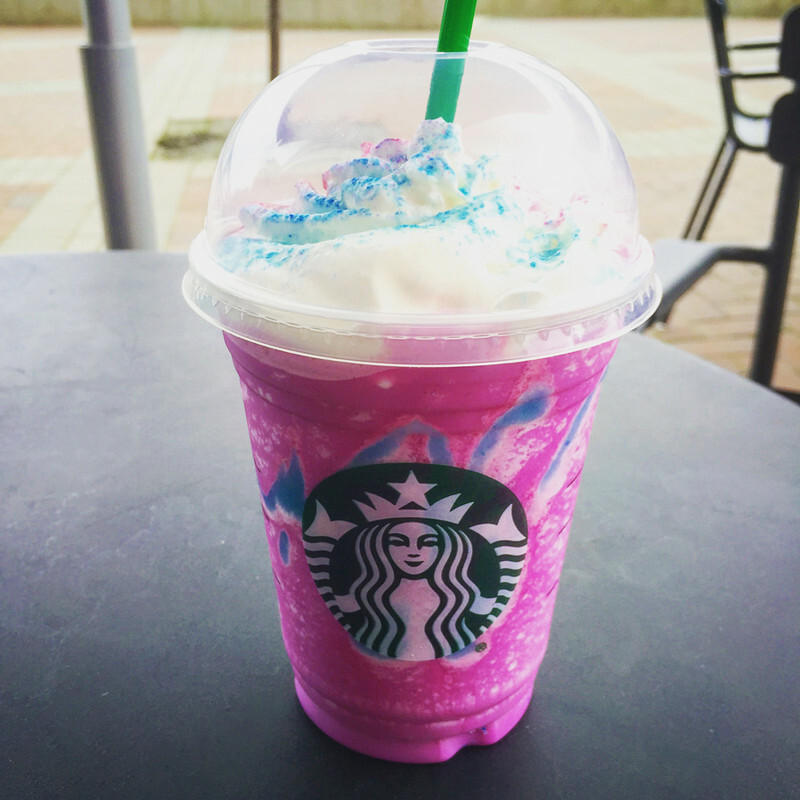 It has been a while since I had one. I've never made one at home before, but this is such an amazing recipe book suitable for both beginners and pros. The photos are so colourful and the visual is so creative. I'll have to try baking and getting creative with my son. He is so excited about this recipe book just as I am. 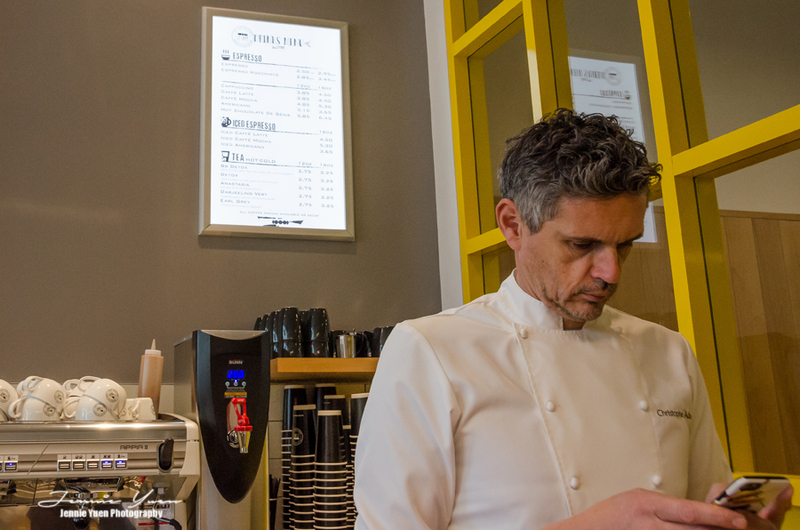 Chef Christophe Adam's remarkable career has taken him from three Michelin-starred restaurants in London to Fauchon in Paris to eventually opening his own éclair boutique, L'éclair de Genie, which currently boasts over 20 locations worldwide. Christophe has plans to open a boutique in North America in 2017. 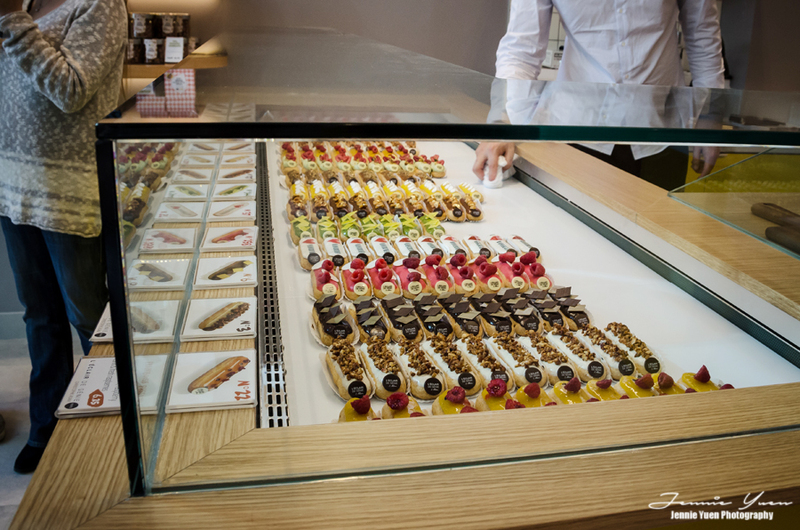 Happy to announce that Paris' all-éclair shop L'Éclair de Genie is opening 1st North American retail location at 1210 Robson Street in Vancouver, BC. 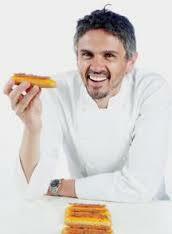 Can't wait to meet Chef Christophe in person! Stay tuned for my upcoming coverage. Vancouver, B.C. 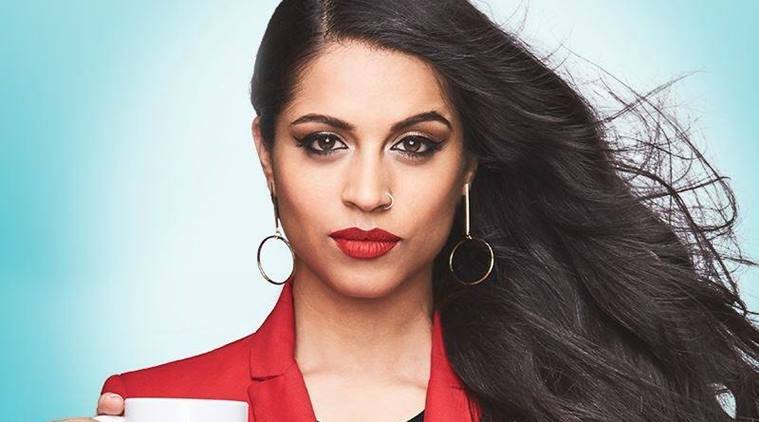 : Indigo (TSX: IDG), the world's first cultural department store for booklovers, is pleased to host Canadian author and 2017 People's Choice Award winner for Favorite YouTube Star Lilly Singh (aka Superwoman) at Chapters Metrotown on Wednesday, April 26th at 7pm. 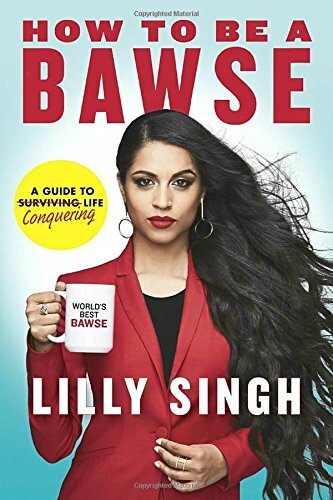 Lilly will be at Chapters at Metrotown to celebrate the publication of her new book, How To Be A Bawse: A Guide To Conquering Life. Lilly didn't get to the top by being lucky - she had to work for it. Now Lilly wants to share the lessons she learned while taking the world by storm, and the tools she used to do it. Funny, smart and insightful, the actress and comedian covers topics ranging from relationships to career choices to everyday annoyances. 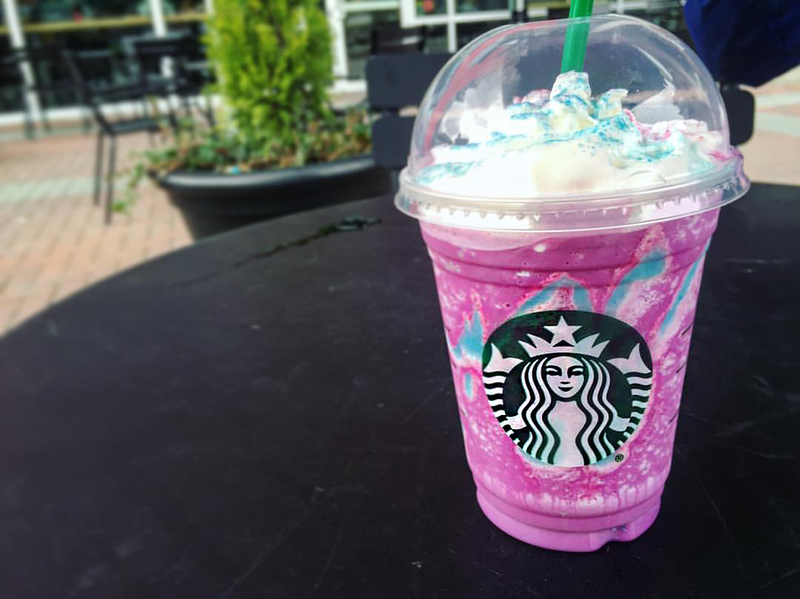 The first 500 people to receive a wristband will be invited to meet Lilly Singh. 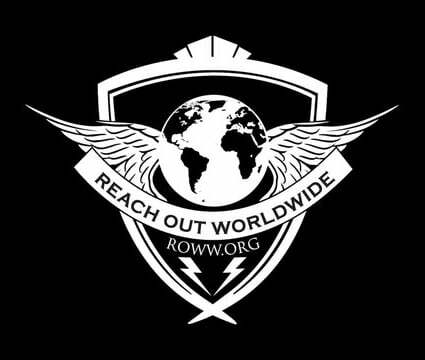 Wristbands will be made available with the purchase of the book at the hosting store. Each wristband includes a photo op and a copy of Lilly's new book, How To Be A Bawse. A limited number of wristbands will be available when the store opens on the day of the event. For full event guidelines please visit indigo.ca/events. 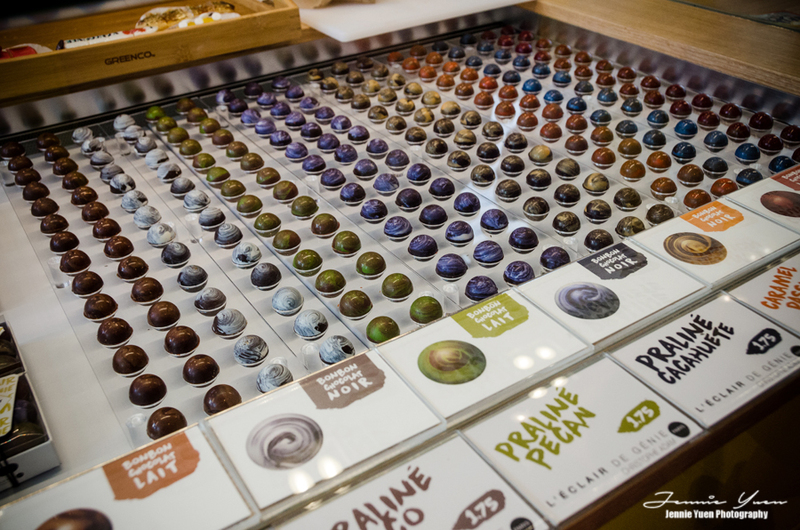 Follow @indigogreenroom on Twitter for up-to-the-minute updates. Next month (May 12-14th, 2017), the ultimate Vegas Gaming and Anime convention is coming to Vegas! 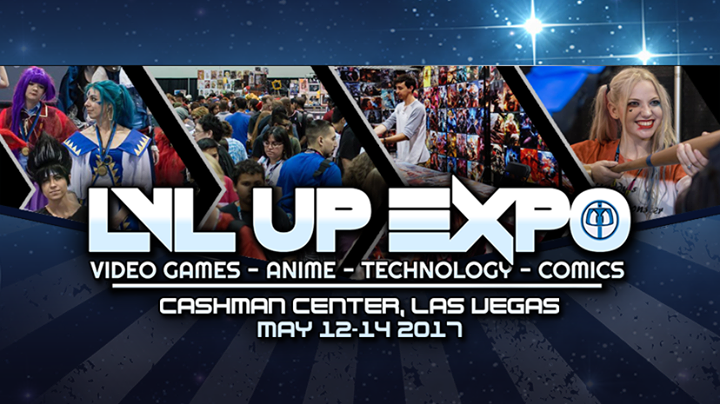 LVL Up Expo is a non-profit gaming convention, covering various gaming platforms, technology, design, and anime! This year will be their fifth year in Vegas. Check out the Las Vegas travel deals for the best flight and hotel packages! I've been attending Anime conventions for the past few years now and I really enjoy it. I've been only attending as part of the media doing photoshoots, photography, and documenting. I enjoy connecting with artists and cosplayers and to learn more about the anime characters and the materials people use for their props and clothing. I still have yet to participate in cosplaying for fun -- one day. I'd love to share my tips for those who are attending their first convention. So you're attending a convention for the first time and you're wondering what you will see or what events are happening. The convention or expo would have a program schedule posted on their website, usually the day before. Look through the exhibitor list and guest list and find out which type of passes are more suitable for your interests, whether it's a one-day pass or a weekend pass. Big conventions are always going to be crowded with lots of people. For multiple day conventions, usually weekdays are less crowded. If you do go on a weekend, attend at an earlier time. If your local convention is near a mall, expect the food courts to be crowded as well. Panels are always a popular one. Make sure to go early to ensure a good spot. It is possible that the doors will close once capacity is reached. Vendor exhibits and booths are fun to check out the cool stuff like collectibles, toys, comics, clothing, crafts and original artwork from talented artists. Bring some cash with you in case you decide to score a rare item. 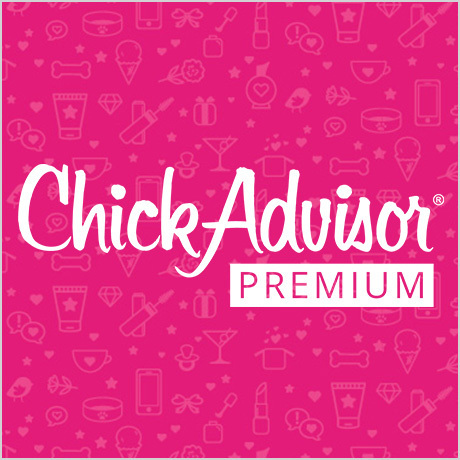 If there is something you really want, take advantage of the discounts or promotions that vendors offer only during the convention. Did I mention it gets crowded? There's lots to see and you'll be walking lots, so wear shoes that are comfortable. There aren't really anywhere to sit, except I've seen people sitting along the side in the hallway. The only place you can sit and relax is at a cafe if your local convention has one inside. Now's your chance to wear that geeky or comic shirt you might have hiding in the back of the closet. If you are cosplaying (and you're wearing heels), bring an extra pair of comfortable shoes. Like I said earlier: lots of standing and walking. Charge up your phone or bring a portable charger if you have one. 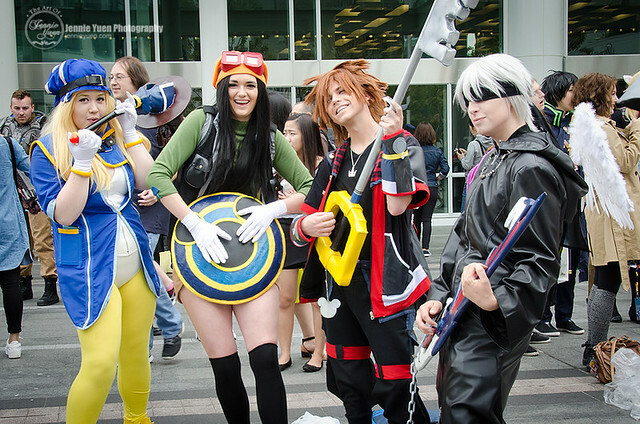 Bring a camera for photo ops and/or cosplay photography. Remember to ask the cosplayer first if it is ok to take their picture. Also, whether you're in costume or not, make sure your weapon prop meets the safety guidelines and always follow the convention's rules (posted on their website). Respect others, have fun and connect with new friends. Amazon, Target, and Walmart Giveaway! In today’s promotion for the PopCorn Maker, it started out at $20.00 and for each mom that clicks, the price drops a bit. The price will continue to drop for each mom that participates. 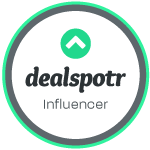 All you have to do is help moms drop the price of the PopCorn Maker and you will be entered to win a $100 Target gift card. Just click “Drop the price” on the entry form below for a chance to win. For even more entries, share it on your social media networks via the entry form — every time one of your friends also clicks to drop the price, you’ll automatically receive additional giveaway entries! This giveaway ends on 5/2/2017; you must be a US Resident and be 18 years or older to enter. Winners are randomly selected and contacted via email; the winners will be listed at the top of the entry form when the giveaway ends. Disclosure: Bloggers in this giveaway were not compensated and are not responsible for prize fulfillment. This giveaway is in no way endorsed, affiliated, or associated with Facebook, Twitter or any other Social Media Networking Site. You are not eligible if you have won a prize from any of the sponsors in the last 12 month. 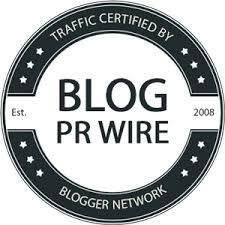 This post may contain affiliate links and I may be compensated if you make a purchase after clicking on my links. 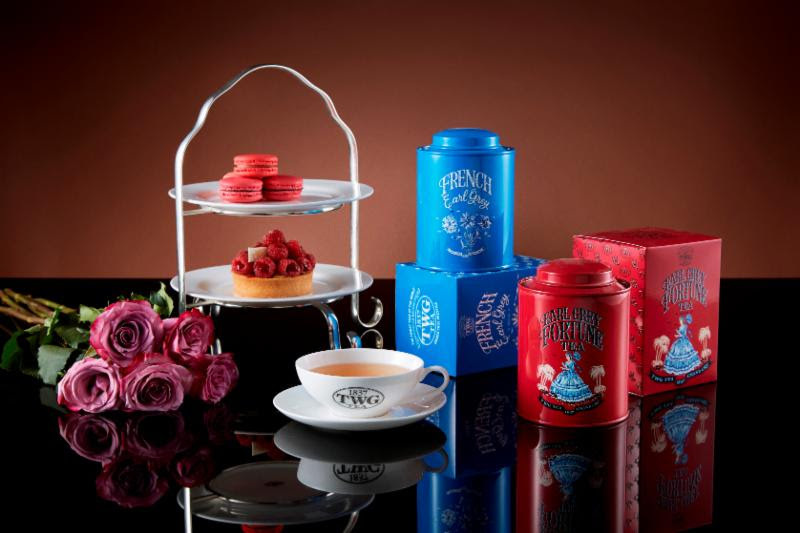 TWG Tea, the world's finest luxury tea brand, has curated a complete sensory experience to thoughtfully honour the exceptional love of mothers across the globe. Inspired by grace and splendour, this TWG Tea collection radiates a luxurious aura that is fit for a queen. In the month of May, aromatic flowers lend their sweet scent to the light wind, where spring is in full bloom. Compelling TWG Teas delightfully share their light, budding aromas in each cup, a special way to share a moment with a dear mother on their special day. This strong and full-bodied first flush Darjeeling is blended with TWG Tea bergamot to yield a most robust and balanced cup. Encased in an artfully packaged Keepsake Tin and beautifully conceived gift boxes, this tea is an honour to gift and cherish for a lifetime. In the month of May, the roses of Grasse come into bloom, enveloping Provence with an incomparable and luxurious perfume. Masterfully blended by TWG Tea, the Bain de Roses Tea is a sensual Darjeeling infused with extraordinary roses and hints of vanilla. 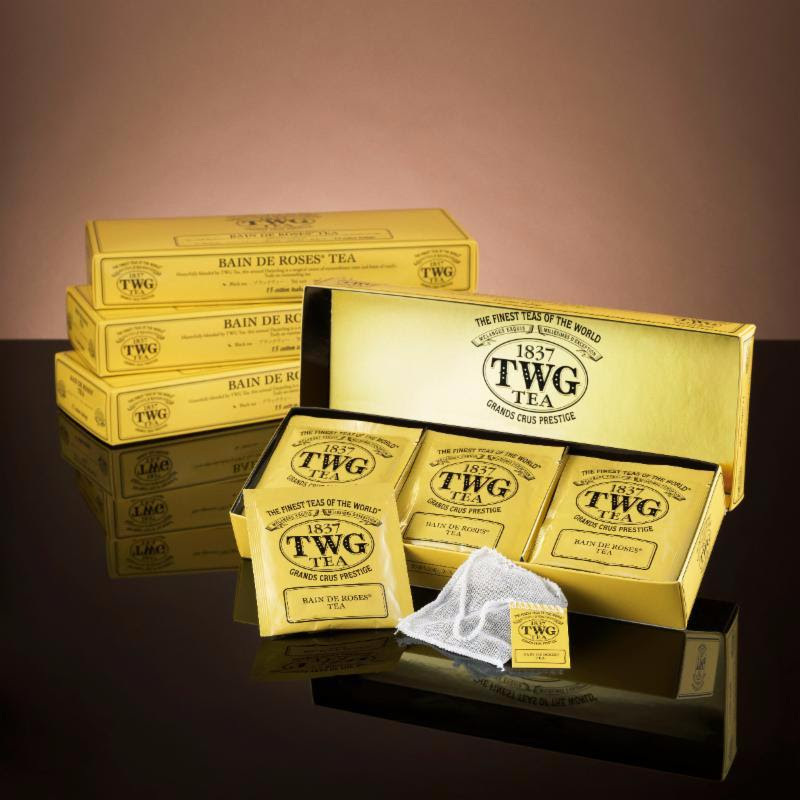 TWG Tea's cotton teabags are entirely hand sewn and made from 100% cotton. Unlike paper teabags, cotton teabags do not absorb the flavour of the teas, thereby allowing the full fragrance to develop. 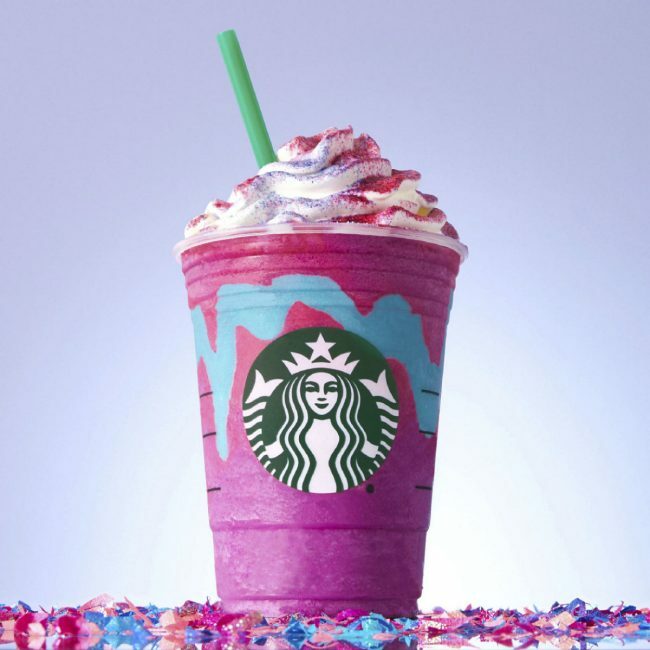 Truly an outstanding tea for the queen of your heart. The TWG Tea Rose Dome Teapot in white features a high-quality polished warmer in either metallic golden rose with an inner felt lining which fits over the porcelain teapot and keeps the tea warm. This ceramic teapot comes with a specially designed removable filter, which allows the leaves to unfurl and to develop their fragrance during the infusion. This teapot is perfectly suitable for all tea varieties. 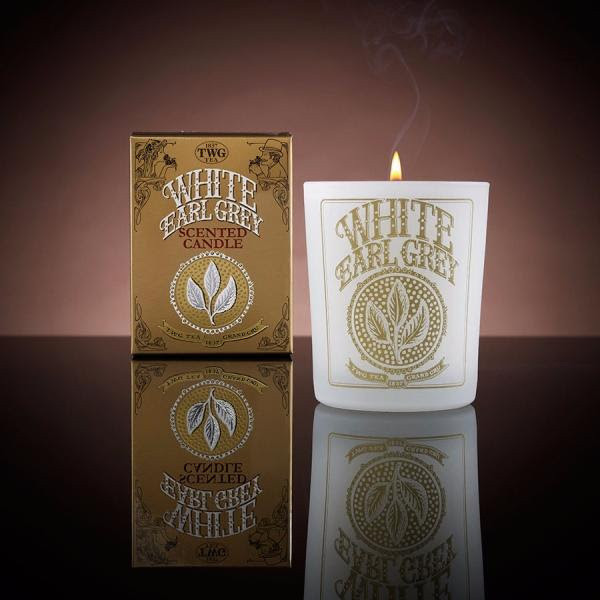 Zested with citrusy mineral notes that lend their raw purity to this elegant fragrance, White Earl Grey Tea Scented Candle is a refreshing combination of sparkling bergamot and downy leaves of imperial white tea which pervade the senses with a crystalline scent, reminiscent of sparkling moon water. Available in all the TWG Tea Salons, this signature bone china collection includes Morning and Afternoon Teacups, a Tea Mug, Sugar Bowl and Creamer. 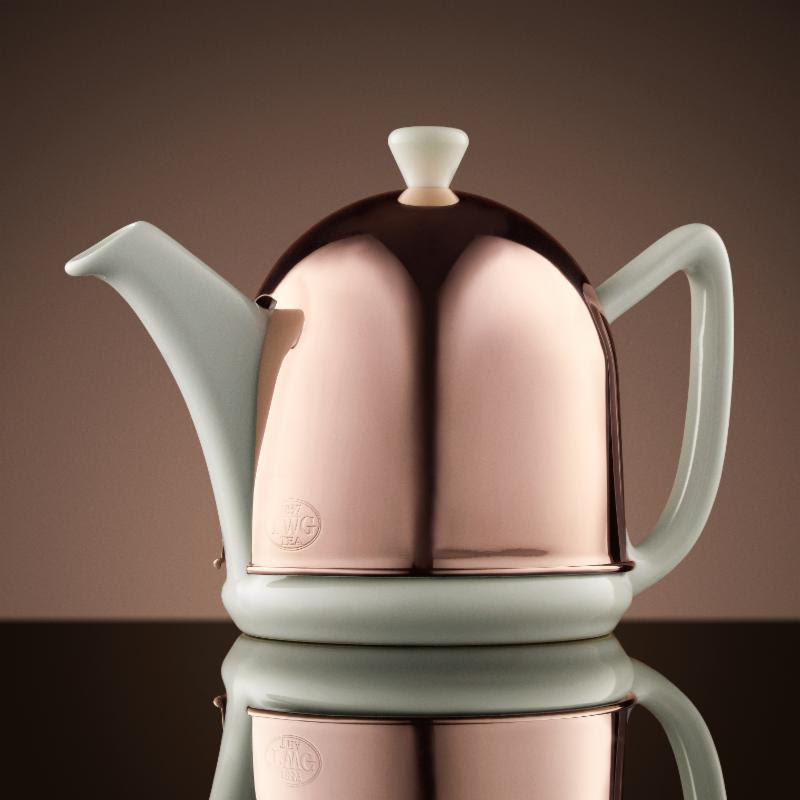 Classic and functional, these exclusive TWG Tea accessories are adorned with the signature TWG Tea logo and are perfectly suited to your tea table. 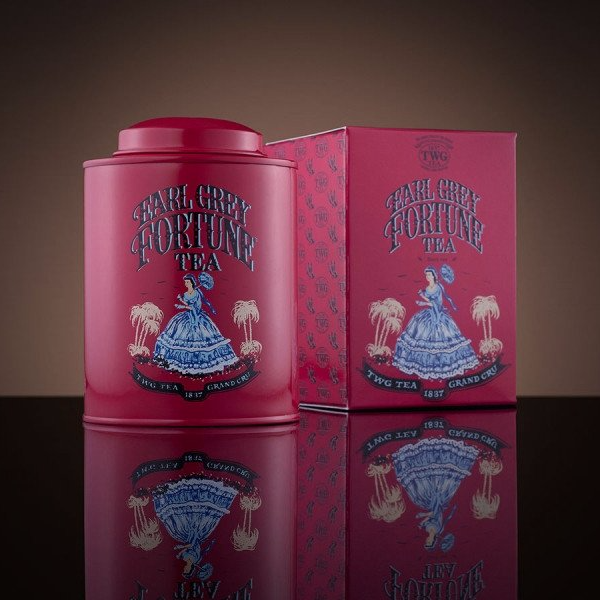 The Earl Grey Fortune Tea in Keepsake Tea Tin is priced at $66. The Bain de Roses Tea in cotton teabags retails at $47. The Rose Dome Teapot in White retails at $293 (600ml). The White Earl Grey Tea Scented Candle retails at $100. 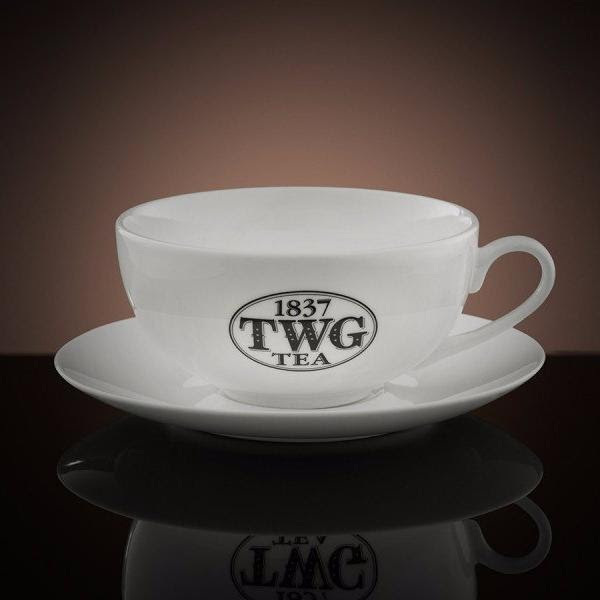 The TWG Tea Morning Teacup & Saucer retails at $57, available at the TWG Tea Salon & Boutique in Vancouver. 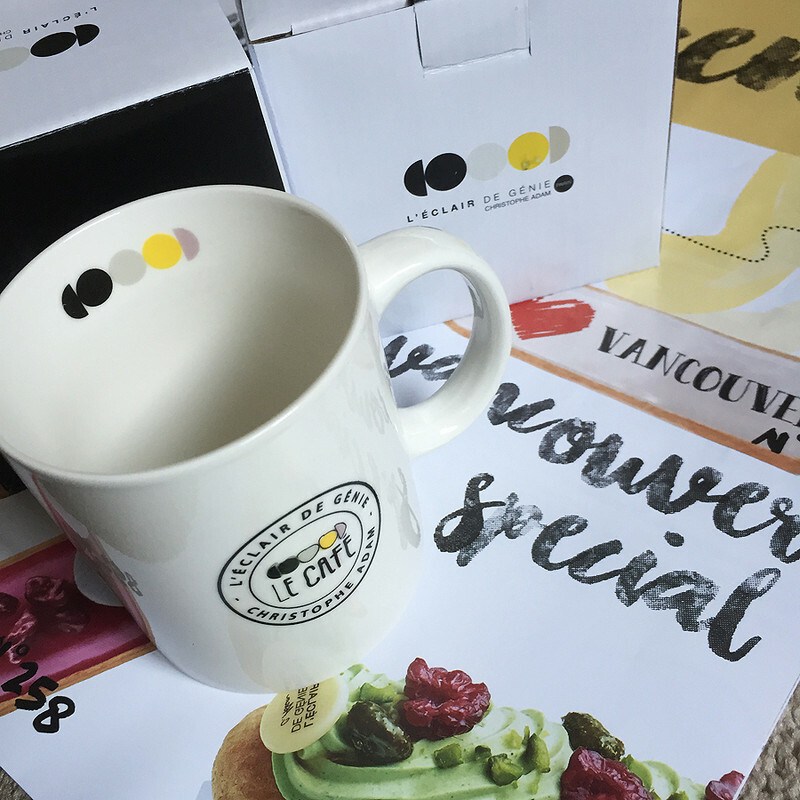 Canadian orders can be made online at www.VanSingDG.com.